Turtle Talks | Turtle Talks Episode #2: What's Exciting About a Clean Energy Future? Episode #2: What’s Exciting About a Clean Energy Future? Iconic actress Daryl Hannah joined Turtle Talks creator Monica Laurence on Turtle Island in Fiji on Earth Day 2015 to launch Turtle Talks. She shares with us her passion for a more ethical relationship among each other and the planet. Monica: Thank you, Daryl, for joining us in Fiji, for believing in the movement we are starting here, and for being a part of sharing this joy, this sensitivity and this love with the world in a way that can accelerate positive change. Daryl: Monica, thank you for coming up with the concept of Turtle Talks, because we face crises on so many levels, and communication is everything. If you don’t know what we face, you have no way of even addressing it or dealing with it. Thank you, too, for bringing up the concept of love, because that’s really what it’s all about. You protect what you love. If you love your children, you protect them. If you love the ocean, you protect it. If you love the creatures, you protect them. You protect what you love. I feel incredibly fortunate to be able to come to a place like this, as I know you all do, because it really gives us an opportunity to slow down and reconnect with the natural world. And it’s when we connect with the natural world that we recognize that a very fragile balance gives us everything that we need to sustain ourselves, and everything that we need to thrive. Monica: Although there are certainly many complexities about getting to a future powered by 100% clean energy, I find that coming back to the basics can inspire you and cause you to think of solutions in a way that you hadn’t contemplated previously. So Daryl, maybe you can start us off by explaining what is clean energy? Daryl: There is no true clean energy because everything takes resources. But there is a form of energy that we call clean energy that is regenerative energy. Regenerative energy is a type of energy that doesn’t kill you when you produce it, that doesn’t destroy all of our living systems that we need to survive and thrive – like clean water, uncontaminated air, food, seeds, soil. The two things we do that are destroying our habitat more than any other are our agricultural practices and the ways that we produce energy. We already have the basics. We already know how to collect energy from the sun, which has been burning for over 4 million years. We need to produce energy in ways that don’t damage us – using the sun, using wind, using micro-hydro. I don’t believe in big hydroelectric dams – they produce tons of methane which is a potent greenhouse gas and destroys life in our rivers, which are earth’s veins, but micro-hydro is an incredible way to produce energy, as is geothermal. The best solutions come down to your community, and the refuse you have in your region. Refuse is a great way to produce energy and fuel for vehicles. There’s refuse everywhere, and I believe waste is the future of liquid fuels. We have all the answers we need to address the crises we face at our disposal. What we need is the political will to employ them and that’s why it’s so important to be sharing information. We need to motivate others to speak out. Monica: So help us understand why clean energy is important. What’s wrong with the way that we generate energy today? Why should we be motivated to make this dramatic shift and put pressure on our political systems and corporations to make this shift to clean energy? Daryl: When the industrial revolution happened, we started using forms of energy that really helped us advance, though we didn’t fully understand the risks, and now we’re running out of these easier-to-access energy forms. Now we’re having to go to more extreme fossil fuel extraction, which means mountaintop removal, tar sands, fracking, giant hydroelectric dams, and deep water drilling even in the Arctic. These extreme extraction technologies are a result of short-term thinking to make a quick buck and get what we need now without concern for future generations, but it’s not necessary. The problems we face shifting to clean regenerative energy are not that we don’t have the technology or that it may not work. It works. It’s proven. Iceland has shifted its energy system. They went from being a coal economy to a geothermal economy. Germany, not a sunny country, has largely shifted to solar. The problem in the states is in a legal system that gives globalized corporate interests the legal authority to pursue the bottom line over the well-being of life. We need to work on our political systems and also our legislative systems. I think people are starting to recognize that, and that’s why you see communities starting to take hold of and change their own local systems and realign their values. That’s what we have to do on a global scale. I’m an optimist. I believe that once people recognize that we are facing crises on every level, we will realign our priorities, because the majority of human beings do want to live in peace and harmony, and do want their kids to be happy and healthy. We are at that turning point. What each of us can do right now, and it may sound silly, is simply to reconnect with the very things that inspire you, the things that you love. If you recognize that the things you love are in danger, you will want to protect them. If you clue into what you love, and combine that with what your particular set of skills are, that is what will motivate you. You will know what to do. Everyone has a different gift. Everyone has something that is intrinsic to them, that is natural for them. Some people can play music. Some people can dance. Some people can communicate passionately. Some people can innovate and create and come up with brilliant ideas. Everyone has a different gift. Focus on what it is that you care about, whether it’s the tiny insects, or your family, or the elephants, or the bazillion things there are to care about and love, and then work to allow that thing to be its fullest and best and most beautiful and bright, and give it the opportunity to thrive. Monica: I’m reflecting on your response, Daryl, and I have to say that the whole way that Turtle Talks came about was from that very path. By identifying what I love – my family here, and the people and beauty of Fiji – I started thinking how to share that with the world. I absolutely believe that everyone can find in their hearts a passion and a personal gift that can help us to move forward collectively. Thank you for putting such beautiful words and energy to that for us. Daryl: It’s really critical that conversations like Turtle Talks are happening. It’s critical that we share information and begin to recognize the interconnectedness of all life. And it’s critical that take action! Reconnect to those things that we love so that we engage and stop being silent. Start being vocal and doing what we can to make this world a place where all species can thrive and more generations will live. Thank you all for being here, and I’m excited to be part of it. 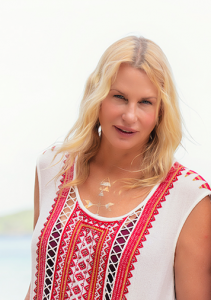 About Daryl Hannah: Daryl Hannah is an actress known for many iconic films – from Blade Runner to Splash, Roxanne, Steel Magnolias, and Kill Bill 1 and 2. She is about to be seen in the new Netflix series, Sense8, coming in June. Her real life work is her passion and advocacy to protect life on earth, and champion a more just and ethical balance with each other and all living things. She sits on many international boards, is a Wall Street Journal expert, and has produced many documentaries and video blogs on the subject. 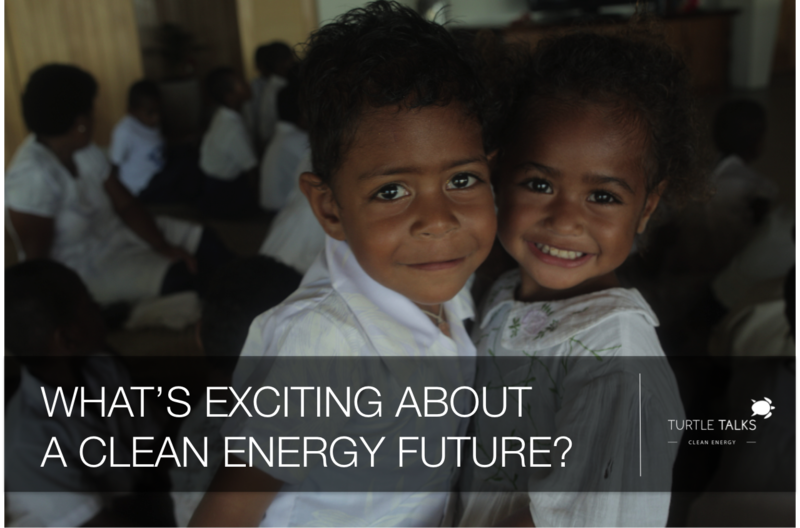 What’s exciting about a clean energy future?